Madison Thomson - These are too cute! And that last pic is amazing!! Alaina Nunez - This pictures were well worth the wait of a couple days. She was giving you so many smiles! And that last picture is just classic! liz - Awwwwwwwwwwwwwwww happy birthday to this sweetheart! You captured her special day so well! I love the last few emotional changes haha! Kandi - What sweet baby and glad she is feeling better ! What a true princess if she doesn’t want her hands dirty!!!! I had a little one just like her and she never outgrew not liking her hands dirty ! 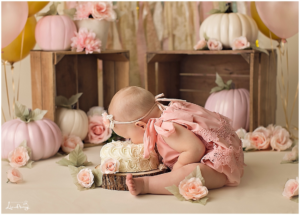 You truly have captured some beautiful images to celebrate her one year milestone! Gorgeous work as usual. Katie Baehring - What a happy little girl!! and your images–GORGEOUS!! I LOVE each of these setups–so much variety and so cute for this adorable little girl. Awesome work! melissa - oh my goodness!! LOOK at her and all of those smiles, what a beautiful little girl!! Shannon Payne - I love her little expressions! I bet you had so much fun with her! Linda - Your props, blankets, sleep caps, pants… all of them are so tastefully selected. 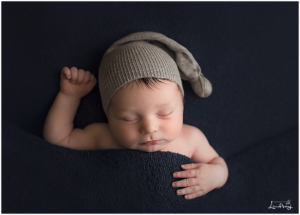 He looks very handsome in the items you used for his newborn portraits. What an incredible job for his parents. Melissa - Look at his hair! He is just so adorable, I love the parent poses. So special. Katie - I love each of these setups! Awesome work! I love his little outfits! What an adorable baby and beautiful images. Madison Thomson - oh my goodness! These are just adorable! And I love dad’s ink! Liz - I love all the personality that dad’s tattoos bring to this session! Kandi - What a fun story !! 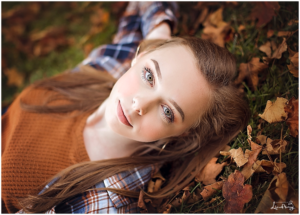 Your high school senior images are just as captivating as your newborns!!! I look forward to your new blog posts so I can follow your current work! Girl you inspire me. I love your posing, lighting and prop selection! Great job as always!! Madison Thomson - Oh my goodness! These are beautiful! And I love her ballerina ones!! Amazing! Melissa - I love all of the images, especially the dance ones. So perfectly done. Baotran Pham - I absolutely love the ballet poses! So sweet. Elizabeth - What a stunning senior session!!! I especially love the dancing! KRYSTAL SANDEFUR - Oh my word, I just need to have this baby mmmmkay? Like for real. The way you were able to get her to connect with the camera? Staaaaahhhhp! What a classic beautiful session. Kandi - Now that girl knows how to eat cake!! Face first!!! I can’t stop smiling looking at these gorgeous images! 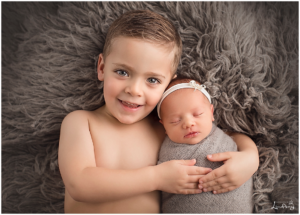 It’s so fun to see how much they have grown since being a newborn! She has the most gorgeous baby blue eyes!! Beautiful work! Katie - Oh my goodness!!! What adorable setups for such a cute baby! Absolutely gorgeous images. Stunning work! Madison Thomson - Oh she is just too cute! I love all of your set ups! Liz - I have never seen pink pumpkins before and I’m in LOVF! How did you do that?!! Shannon Payne - Those cake smash photos are AMAZING! Her expressions are priceless! This looks like such a fun session. Great work!